Locket Hair Extensions offers the latest, most innovative technique in the Hair Extension Industry! 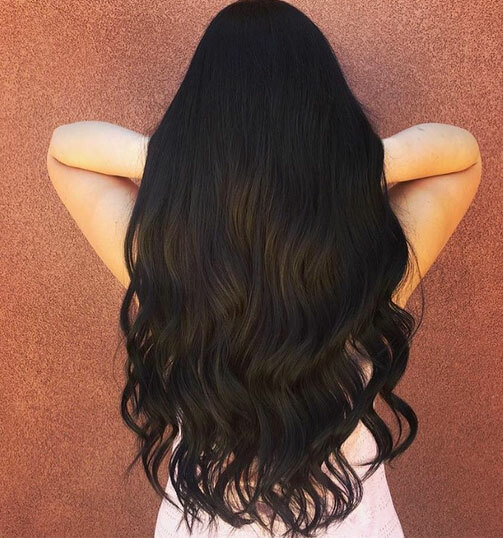 Locket Hair Extensions offers a new innovative technique to allow your clients to have the gorgeous hair they have always dreamed of with a fast application and easy maintenance! This method was not only created with the client in mind, but the hairstylist as well. The Locket method makes it possible to completely transform a normal head of hair into a masterpiece in as little as one hour! The maintenance move up for a full head of Locket Extensions (3-5 packs) can be serviced in about 30 minutes! You can move up a client while another client is processing! That’s how fast this method is! There is no down time with Locket! No messy glue or tape removal. You don’t have to attach over 150 beads for a full head. The weft of the Lockets are so thin and flexible, they can be layered up to 5 pieces in areas you need added weight. They are extremely lightweight and move freely with the clients natural hair. You can use them as full pieces or cut them in half, making the options endless! Locket Hair Extensions offer the best hair quality on the market! After years of research and testing, we finally found our GOLD! The hair is European Virgin Cuticle Remy hair. The texture is very natural, can be worn straight, but also will hold a curl for days! Each strand is strictly inspected to ensure superb quality. It looks and feels like your own natural hair. It’s soft, manageable, and tangle-free. Locket Hair Extensions can last up to 6 months or longer with appropriate care. Each pack of Locket include 10 seamless wefts, except for our pink which includes only 5 wefts. There are over 25 colors to choose from and up to 3 different lengths. Options are limitless with Locket Hair Extensions! Locket Hair believes in production technology, which means we never stop improving! This method was created by hairstylist who wanted a technique that was fast, easy, and damage-free. Time is money in our industry, and with Locket Hair we are able to offer the highest quality hair extensions at an affordable price, in less time than other methods in our industry. This allows our hairstylist to make more money behind the chair in less time! The Locket method makes it possible to completely transform a normal head of hair into a masterpiece in as little as one hour!